Wade Watts is a teenager in the year 2044, living in the worst period in the Earth’s history. Almost everyone lives in abject poverty. Multiple wars are ongoing and natural resources are rapidly depleting. In fact, most people choose not to live in this horrible real world at all. The real world, in their minds, is in the OASIS: the virtual reality system designed by multi-billionaire game designer James Halladay. When Halladay dies, he leaves a mark somewhere in the OASIS, an Easter egg, as it becomes known. He also leaves behind a game that leaves people every where obsessed and dedicated to finding that egg, because the first to find it receives all of Halladay’s billions of dollars. Wade, or Parzival as he is known in the OASIS, joins the millions of other egg hunters (gunters) in the quest for the egg. Halladay was completely in love with the 1980’s, and all of the clues he left have to do with the pop culture of that era: movies, music, and of course, video games. Wade becomes an expert on everything Halladay once loved, but he is nevertheless astonished when he finds the first key leading to the egg after five long years of people puzzling over its location. I’m not usually a big fan of science fiction, especially science fiction that takes place in a virtual reality setting. I never would have imaged myself loving this book as much as I did, but Wade’s quest for the egg combined with the impressive world of the OASIS (I mean, every book EVER written at your fingertips? Free school? Cars straight out of movies?) just grabbed me and I couldn’t put it down. As the quest toward the egg became more and more intense, I really just felt like I was the one hunting for it myself, and couldn’t help but wish it was. Wade’s find causes an uproar in the gunter community, and the game reaches a new fervor as people desperately search for the egg, and with it, billions of dollars. There is a definite Charlie and the Chocolate Factory vibe throughout the novel, between the poverty and the race for the keys to the egg, and the eventual ending, which reminded me very much of Wonka’s factory in the best possible way. I didn’t understand all of the 80’s references, but I think I got most of them, particularly the music and movies, and they added so much to the book, and created a sense of nostalgia not just for the people in the book but for the reader too. 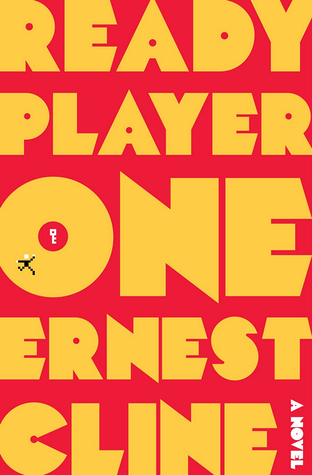 If you’re looking to expand your horizons, definitely give Ready Played One a shot. I was very pleasantly surprised by how much fun this was, and I think you could be too! What have you read lately that’s surprised you? ← YOU CAN’T SIT WITH US! Yessssssss! I’m so glad you liked this one, I thought it was fabulous! It really was so great!! YAY! I love that you took a chance on RPL even though sci-fi isn’t really your thing. And I love your Charlie and the Chocolate Factory comparison- spot on!! I definitely know my 80s pop culture and that added to the fun, but I’m so glad to hear that that element worked for you as well. Fab review, Amy!